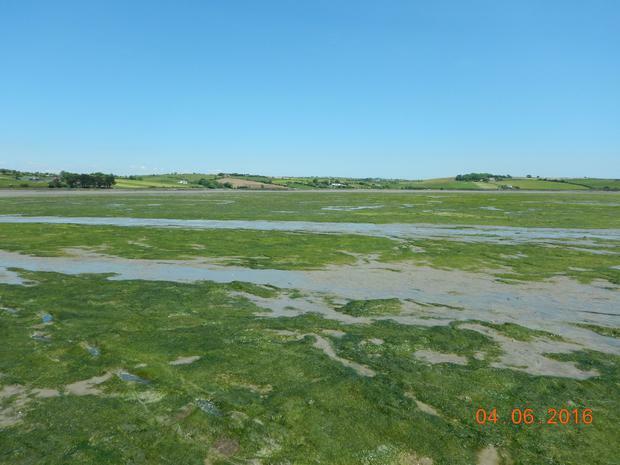 Researchers at NUI Galway have linked the expansion of Ireland’s dairy herd to proliferation of green seaweeds in Cork and Dublin bays and said with the intensification of the dairy herd there must be more work done to keep nutrients out of waterways. 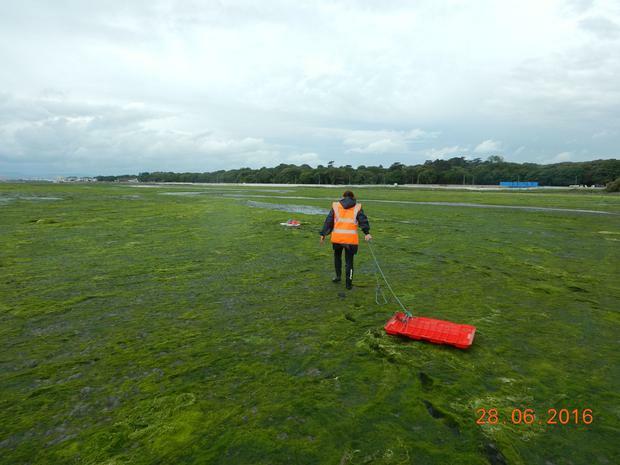 Scientists from Earth and Ocean Sciences and the Ryan Institute carried out a study on seaweed blooms that occur in Irish estuaries on an annual basis as a result of nutrient enrichment. Nitrates and phosphates from the land flow into the sea, which can lead to the growth of green seaweeds, commonly known as Sea Lettuce. In affected bays and estuaries the shore becomes so green that these seaweed blooms are referred to as “green tides”. In Ireland, The Tolka Estuary in Dublin Bay and Courtmacsherry and Clonakilty Bays in west Cork are heavily affected by these green tides. In the study, Dr Liam Morrison and Dr Ricardo Bermejo sampled several seaweed blooms on a seasonal basis, assessing the two types of sea lettuce morphologies present and extracting the DNA to identify the range of species present. Nutrient enrichment of estuarine and coastal waters (e.g. from diffuse sources such as agricultural runoff and direct discharges such as wastewater treatment plants) is considered a key factor for the development of green tides. Lead researcher of the study, Dr Liam Morrison, Earth and Ocean Sciences, Ryan Institute, NUI Galway, said: “Ireland is famous for its green countryside but this should not include our beaches too. Green tides present a large and costly problem for humans and coastal ecosystems. Nutrient enrichment in our marine waters has increased worldwide as a consequence of the growing human population, especially in urban centres along the coastal zone. Nutrient enrichment in European coastal waters has been identified as a key pressure on water under the Water Framework Directive (WFD), and the reduction of nutrient loads from agricultural practices and wastewater treatment are the main restoration measures. Although green tides are not generally toxic to humans their occurrence, by virtue of their sheer size, impacts shore-based activities including navigation, tourism, fisheries and the recreational use of our coastal amenities. The researchers suggest that these findings should be considered for the development of management and monitoring strategies since the different types of seaweed may play an important role in the balance of nutrients and biomass in the estuary or determine the response to pollutant exposure.